The origin of life is one of the biggest questions in science, but until recently it was, experimentally, a question in chemistry. Now, gene sequences and a better understanding of cell growth under extreme conditions are giving insights from biology. These point to hydro-thermal vent environments as ‘incubators’ that could drive growth in a similar way to cells at the origin of life. Professor Lane will discuss how these ideas are being tested in the lab. Professor Lane is Professor of Evolutionary Biochemistry in the Department of Genetics, Evolution and Environment at University College London. His research is about how energy flow shapes the broad sweep of evolution, focusing on the origin of life and the improbable emergence of complex cells. 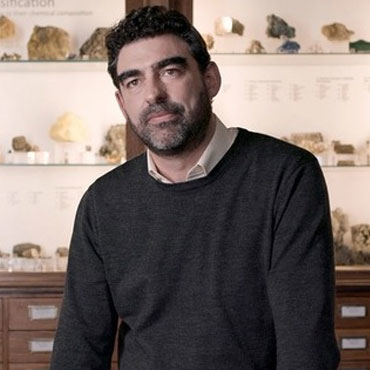 Professor Lane was a founding member of the UCL Consortium for Mitochondrial Research and is Co-Director of CLOE, UCL’s new Centre for Life’s Origins and Evolution. He has published four celebrated books, which have been translated into 25 languages, and is a regular contributor to TV and radio as well as scientific and literary festivals. His book Life Ascending won the Royal Society Prize for Science Books in 2010, while Bill Gates praised The Vital Question as “a stunning inquiry into the origins of life”. Professor Lane’s work was recognised by the 2015 Biochemical Society Award for his outstanding contribution to the molecular bio-sciences, and the 2016 Royal Society Michael Faraday Prize, the UK’s premier award for excellence in communicating science.